Mother Nature paints this beautiful landscape of rich golden enchanting colors. The sound of leaves crackling benefit my feet as I take a deep breath of the fresh air crisp. My soul begins to feel the renewed harmony from the hot hazy, hustle and bustle days of summer. In the distance, I hear the gabble of a flock of geese all lined up in perfect formation beginning to head south for the winter. The smell of fall scented candles and Friday night football games let’s not fail to forget the fun of tailgating. I have many fond memories of laughing around a bonfire, and staying toasty while enjoying a night out with friends. I just love the way my oversized sweater snugs my skin and the warm pumpkin latte keeps my belly warm. Fall is one of the most packed holiday seasons. This is a season to be truly thankful, and to simply surround yourself with friend and family that are dear to your heart. Falls scents make me think of Pumpkin spice lattes, gingerbread men, cinnamon and citrus flavors. I love when guests come over and say , “Mmm! Your house smells so clean and inviting”! “What’s your secret?” It’s really not that hard to get your house to smell wonderfully delicious. Sometimes it’s because I’ve been baking, and other times it’s because I have a pot simmering on the stove. Autumn is a the beginning of a perfect season to start making your own scents for your home. You can impress your friends and family while creating a healthy all natural fall scents that are warm, comforting and cozy. After I started researching on my journey to heal my hypothyroidism. I was stunned by how these delightful and sometimes very expensive scents were so toxic to our bodies. These products are often filled with carcinogenic chemicals and other harmful toxins which can have an affect on our breathing, our hormones and our brain. Add to these to a petroleum-based solvents and fake fragrances, and now we are talking about a potent concoction of cancer- causing substances, least not fail to mention their role in causing neurodegenerative diseases like Alzheimer’s. Pots that are simmering on the stove or using your crock pot are really easy ways to make your home smell wonderfully amazing. it’s pretty simple. All you need to do is grab a pot, fill it with 2 cups of water, bring to a boil then add the ingredients that make up your favorite Autumn scents. I would let the pot simmer gently on the stove and adding more water when needed. Before you know it, the scent will fill be filled throughout your entire house. Here are a few combinations of fall scents that you can play around with until you find your favorite. 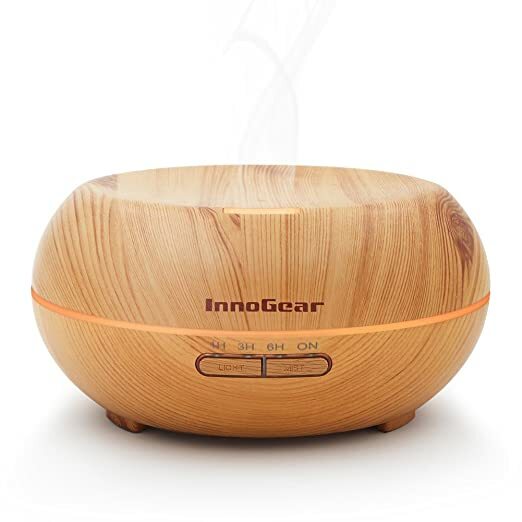 Essential oil diffusers are wonderful little devices that come in all shapes and sizes. They help improve your health, increase your energy, improve your sleep, make you more relaxed, fight off illness’s, improve your mood, help you sleep better, help to reduce the inflammation and congestion if you have a clogged nose and help you to think more clearly. I think some of the best smelling combinations of for a Fall scent includes a different variations of anise, cardamom, cedarwood, cinnamon, clove, ginger, nutmeg, orange, pine, rosemary, sage and vanilla. This blend is will remind you of walking in the woods in autumn – damp leaves and soft moss under your feet, and let’s not forget to mention the first breath of crisp cool air that carries with it just a hint that winter is coming. What a fantastic warming blend of sweet and spicy. What better take on a traditional autumn scent is the combinations of an orange aroma along with cinnamon and clove. This earthy combination of scents is very smooth. it tends to linger throughout your home hours after its been turned off. This scent is similar to a citrus spice but with an different interesting twist, this combination of these scents creates the sweet aroma of a traditional English pomander. This scent is perfect for any holiday party. All your guests will fill relaxed and happy. This scent is inspired by the idea of a late November weekend spent in a log cabin needled deep in the mountains. I simply love a cup of hot chai on a chilly fall morning. What better way to bring in fall with a wonderful slice of pumpkin pie. These scents will have your air ways clear in no time flat. the combinations of scents are not only immune-boosting but it helps to ward off autumn colds. You can click on this link and put in what scent you want to purchase. For all of the blends on this page, I use only doTerra essential oils. Everyone should have some warm and inviting candles. They are a nice way to make your home fell warm and cozy throughout the cool Fall and cold Winter months. Why not make you own all natural and safe scented candles? These super easy mason jar candles contains beeswax along with , essential oils such as cinnamon, vanilla and clove. Ok you will need to start by melting your wax. Melt 2 cups of wax and this will make 2 candle jars. Melt one cup of wax at a time and microwave for two minutes. Continue microwaving at 1 minute intervals until melted. Next add the other cup of wax to the container and microwave in one minute intervals until it is all melted. It normally take about me about 5 minutes total. (make sure you never use the same measuring glass that you use for your food. I have one that I use just for candle making. Next start to prepare your candle wick while you wax is melting. Wrap the end of the wick around a wood skewer or pencil and balance the skewer on the top of the jar-this holds the wick in place while your candle is setting. Make sure the metal end of the wick is resting on the bottom of the jar. When the wax is completely melted add vanilla and spices, mixing well with a skewer. Gently and slowly pour the wax mixture into your two jars, adjusting your wick necessary. Sometimes the wick likes to move, this is when you need to adjust it back into place. Let the candles to set for 4-5 hours until firm. Why do I use beeswax instead of other products. Combine all the ingredients along with filling the water to the top of the 8 oz spray bottle in a . Make sure you shake it good each time before spritzing. Note: All though this is completely organic and all natural it is wise not spray directly onto skin, and do avoid spraying yourself in the face, ours eyes or inhaling. This is your creation. I love making homemade potpourri . it has a wonderful light scent and a variety of colors and textures. You can place this on a table in a nice decorative bowl, or allow it to work as a deodorizer for the bathroom or kitchen. I like to add everything into a big jar, sprinkle with the essential oils and gently toss. Then your can pour it in a bowl to show off. You will want to dry your apples, slice them paper thin and place the apple slices on a baking sheet in a single layer for 30 minutes in a 150 degree oven. After the apple slices have completely dried, mix dried apple slices with remaining ingredients. You can also add a 1/2 cup of this potpourri to 2 cups of water in a crock pot or simmer it on a stove on low heat. After you done if you want to reuse it, strain it, allow it let dry and place it in a container with a lid. This is my favorite thing to have in a nice decorated bowl. Instead of buying those chemically loaded bags of cinnamon pine cones that you see at the stores. Why not make your own. it’s so easy to make these, just two ingredients! This is a great way to get your kids involved. They will love gathering up the pine cones! Bake your pine cones in the oven at 200F for one hour. Allow them to cool. Once cooled, sprinkle with essential oils and keep in an air-tight container for up to one week to allow the scent to develop. Remove them and place around your home, if needed add more essential oils when the scent starts to fade. keep the extra pine cones in a resealable plastic bag for the scent to last longer. Sprinkle drops of essential oils on the cones, seal and shake. Leave in bag for at least one week. We all know the most common scent for pine cones is cinnamon. But you can use any these essential oil scents , or even mix some together. This is such a easy and simple way to have some homemade fire-starters. grab you a box of coffee filters and a handful of the spice mixture, next stuff those filters with the mixture. Take a threaded the needle and sew the top opening closed. Mix the borax and baking soda in a container. Next add your essential oils or the ground cinnamon or ground gloves. Make sure it is free of lumps. Pour mixture in a an empty shaker container. Shake the powder onto your carpets, and let sit for 15 to 20 minutes before vacuuming thoroughly. Add all the essential oils to a glass bottle. A 1/4oz bottle will hold this blend great. After you’ve placed all the drops in the bottle , tighten the lip of the cap and gently invert the bottle to blend the oils but please don’t shake to mix the blend. Add some water to your essential oil diffuser reservoir. Next, add 5-6 drops of the Pumpkin Spice Essential Oil Blend. Place a beeswax tea Light in the base of your of your diffuser and soon you room will be filled with a delightful a spicy aroma! Easy and simple Natural Ways to Make Your House Smell like autumn? How about a recipe for a Natural Pumpkin latte Spiced Deodorant? This book has over 150 different hypothyroidism comfort food recipes along with many other surprises. This entry was posted in Uncategorized and tagged #advice, #allnaturalscents, #anxiety, #audrey, #author, #autumn, #body, #books, #crockpot, #depression, #DIY, #filters, #food, #health, #healthyscents, #hypothyroidism, #indoor, #life, #love, #medicine, #mood, #nochemicals, #recipes, #share, #spiritual, #training, #wishlist, #workouts on September 1, 2017 by thehypothyroidismchick. I am writing this blog to brag on this amazing product that has really lifted me up. Not only has this wonderful product to curved my appetite, I can definitely see a difference in my energy levels throughout the day. 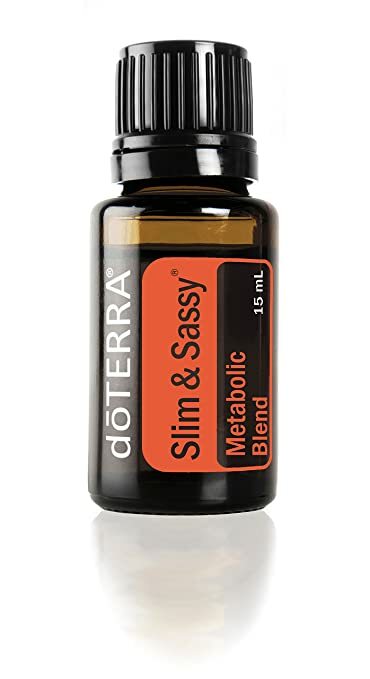 The Slim & Sassy Metabolic Blend is one of those that does work for me. It works as a mild appetite suppressant and trust me I need that. I also feel that it leaves a VERY pleasant taste in my mouth, and on my breath. The taste is strong, so be warned, it’s pungent and like I mentioned its very pleasant along with being refreshing but you will get use to it and after a while you wont even notice the strong smell. I started out with one drop in my 24 oz. glass water bottle every-time I filled it and I also have 2 decaffeinated green tea bags in the water bottle. Although it is recommended that you put four drops in 4 oz. water. I wanted to get my body use to it and adjusted therefore I started off with it very diluted. I love it in my water bottle, and I just sip on it all day. Makes me feel so refreshed and I want to exercise! I just love how the citrus undertone tingles my lips a bit as I sip on it. The scent is very invigorating and its all natural nothing artificial. I also like to apply this to my problem areas (thighs, upper arms, waist, lower stomach, & buttocks) in the morning and at night, before bed and let me add that since I’ve been I applying it to my problem area’s the Mosquito’s aren’t bothering me much anymore and it has really helped with my seasonal allergies. This blend is designed to help control hunger and to help limit excessive calorie intake. The oils in this blend are calming to the stomach and work to improve emotional well-being. This blend is most effective when combined with exercise and healthy eating. Apply on wrists, bottoms of the feet, or on area of concern. Apply to palms of hands: cup hands over nose and mouth, and breathe deeply. Diffuse into the air. Add 8 drops of this Metabolic Blend to 16 oz. of water, and drink throughout the day between meals. Grapefruit: is balancing and uplifting to the mind. It has been used medicinally by the French to help with cellulite and digestion. Lemon: is invigorating, enhancing, and warming. It promotes health, healing, and energy. Peppermint: is purifying and stimulating to the human mind. It may also help soothe digestive difficulties. Ginger: may help increase physical energy and promote healthy digestion. Cinnamon: enhances the action of other oils. It may improve circulation, digestion, and energy levels. Because this blend contains citrus oils, it may increase skin photosensitivity. It is best to avoid sunlight or UV rays for 12 hours after topical application. Do not apply directly in eyes, ears, or nose. Consult your doctor before using if you are pregnant or have a medical condition. If you want to obtain the weight results of your desires? Go for it, since you are worth it! Let’s not forget to mention that of course you need to eat healthy and exercise. But if your looking for a safe alternative to an Appetite Suppressant. This is for you! Click on this link and order yours today! This entry was posted in Uncategorized and tagged #advice, #allergies, #author, #body, #books, #exercise, #filters, #food, #health, #holiday, #hypothyroidism, #labels, #life, #metabolicblend, #metabolism, #nutrition, #share, #slimnsassy, #workouts on May 31, 2017 by thehypothyroidismchick. This entry was posted in Uncategorized and tagged #1bookauthor, #a.l.childers, #americans, #audrey, #audreychilders, #audreyculpepper, #author, #authors, #bestsellingauthor, #bestsellingbooks, #bloggingforhealth, #body, #book, #books, #childers, #fabebook, #facebook, #filters, #food, #health, #healthblogs, #hypothyroidism, #lifeneedsclarity, #like, #messagefromtheauthor, #nutrition, #popular, #share, #thyroid, #thyroidism on February 14, 2017 by thehypothyroidismchick.